Making Christmas cookies beautiful enough to satisfy Santa can become a full-time job during the Winter. 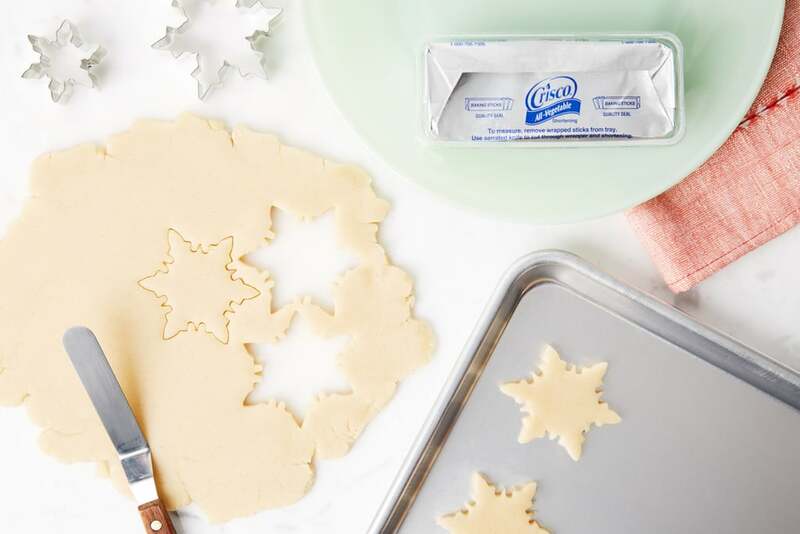 That’s why we’ve partnered with Crisco® to share helpful holiday baking hacks. 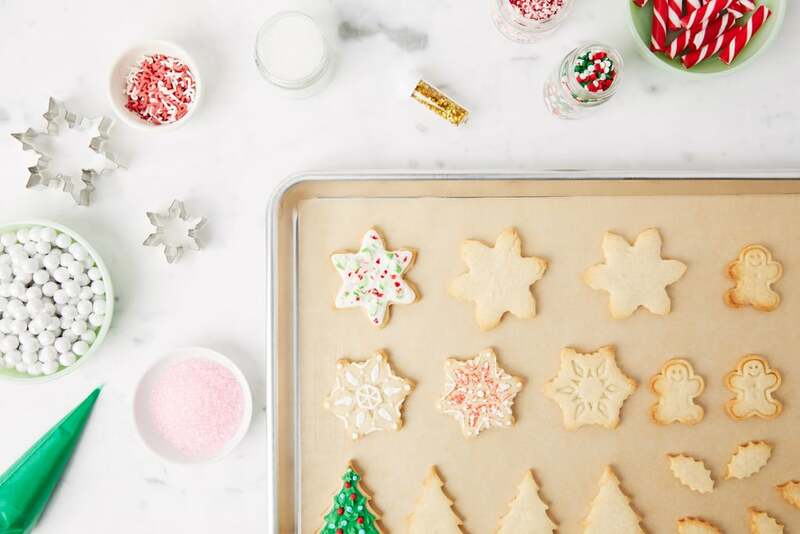 When the holiday season is in full swing, there are a million tasks on every mom's to-do list — and spending 24 hours a day whipping up cookies shouldn't be one of them! Baking doesn't have to become a full-time job come December if you have helpful hacks to systematize the preparatory process. As a sweet bonus, these timesaving techniques will deliver tasty cookies. Read on to discover five baking tips that will streamline the cookie-baking process so you can spend less time in the kitchen and more time celebrating the holidays with friends and family. Throwing together sugar cookies in a tight time frame is a recipe for disaster! Instead of waiting until the last minute to crank out cookies in a hurry, make a batch of dough well ahead of time and freeze for later use. 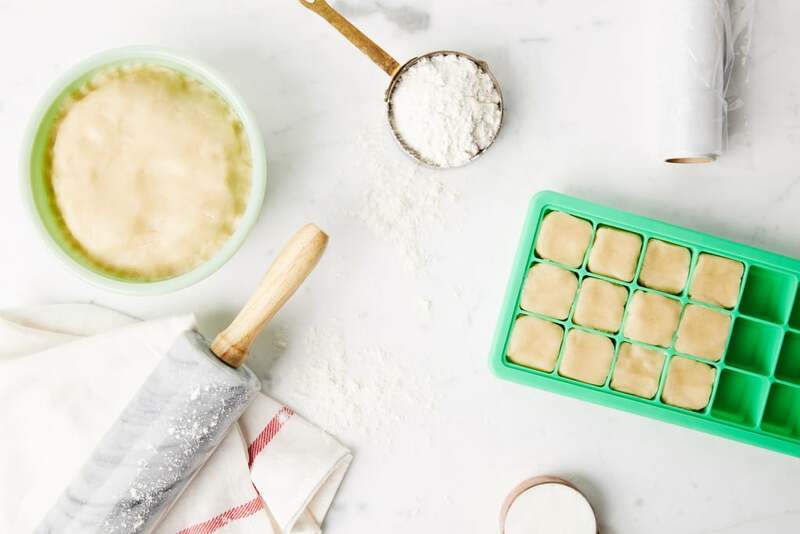 Make the process infinitely easier by divvying up the dough into equal portions and placing each into flexible ice trays, which will make the dough easier to pop out when it's time for baking. Utilizing Crisco® All-Vegetable Shortening Sticks makes for fluffy cookies that kids — and Santa! — will find irresistible. Shortening doesn't need refrigeration, so you can shave off a few minutes that would usually be spent melting butter from your prep time. As an added bonus, coating each cookie sheet with shortening will help you avoid the dreaded burnt-cookie cleanup and prevent cookies from sticking. Why spend the holiday season endlessly scrubbing cookie sheets when a few minutes of preparation could save you hours of needless labor? Rummaging through your cupboards to find those silver sprinkles and that elusive reindeer cookie cutter can easily eat up an hour or two. To keep your cookie-creating efforts from stalling, set up a superorganized cookie-decorating station complete with all of the ingredients you need to make delicious treats. Utilizing a tray as a base, arrange an assortment of cookie-decorating accoutrements such as holiday-hued sprinkles, tubes of red and green frosting, food coloring markers, and cookie stamps for truly show-stopping treats. The best holiday cookies look as good as they taste, and no one wants to open their oven and find that their individual cookies have merged into one enormous block! Instead of using a cookie sheet, try placing evenly measured spoonfuls of dough into muffin tins coated with shortening to ensure cookies keep their shape. Be sure to adjust the cook time if you increase the size of your cookies. Stand mixers, pastry tips, and even a scraper that can double as a knife are handy multitaskers will save you time and energy when churning out cookies during the holiday season. Instead of purchasing a separate tool for each task, find gadgets that serve double duty during the baking and decorating process.